April 22, 1982 — Gene Autry's Mogul Locomotive No. 1629 moves into Heritage Junction Historic Park in Newhall. 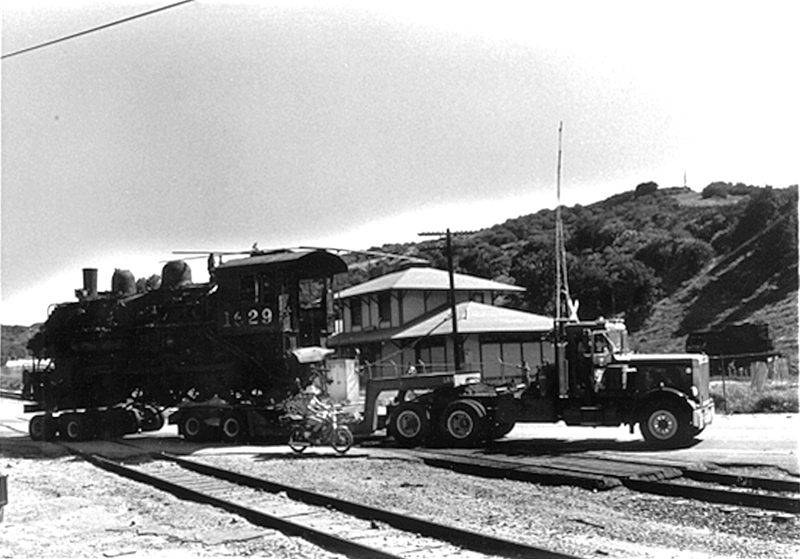 Photo by Tony Mason / SCV Historical Society collection.